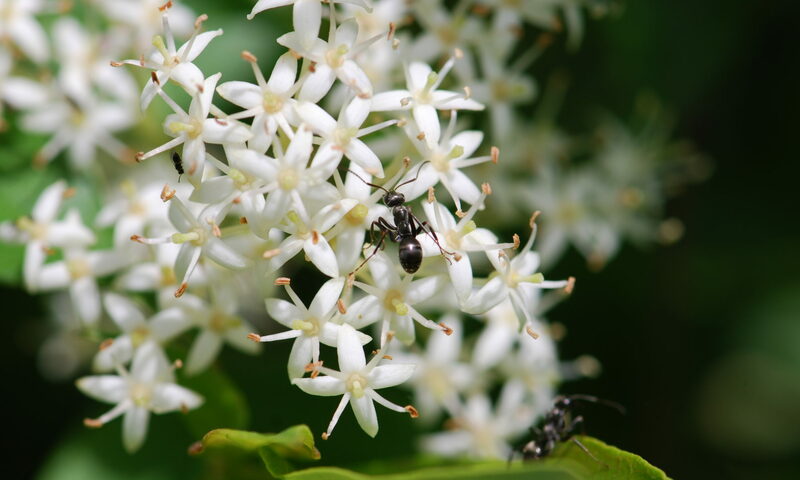 This little ant is fairly easy to identify. 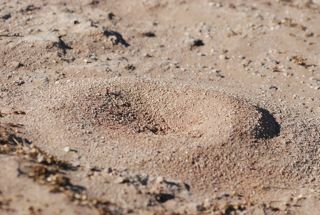 First, look for the volcano-cone-shaped nest. 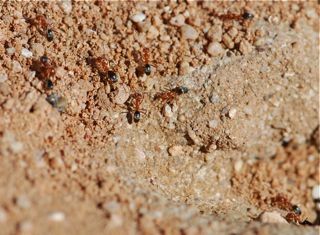 If you spot some active ants with reddish-brown heads and alitrunks, and black gasters, take a closer look. 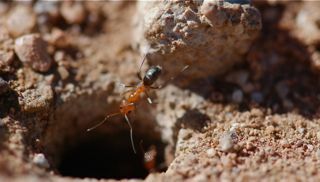 If there’s a cone-shaped bump on the posterior dorsal surface of the alitrunk, then you’ve found Dorymyrmex bicolor. Dale Ward has some close-up photos to show the characteristics of this species. We saw it in typical habitat, which is open and dry. In this case the were at an agricultural research station in Maricopa, Arizona. 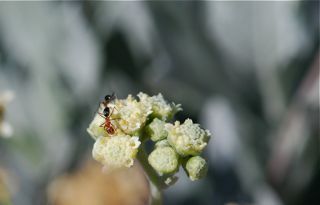 Dorymyrmex commonly feed on nectar and honeydew. 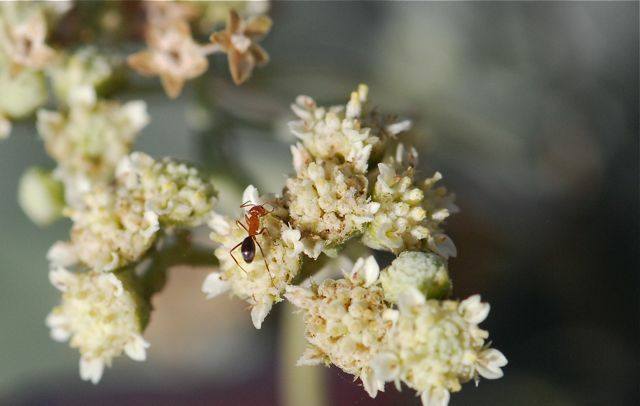 Check out the nearby guayule flowers. 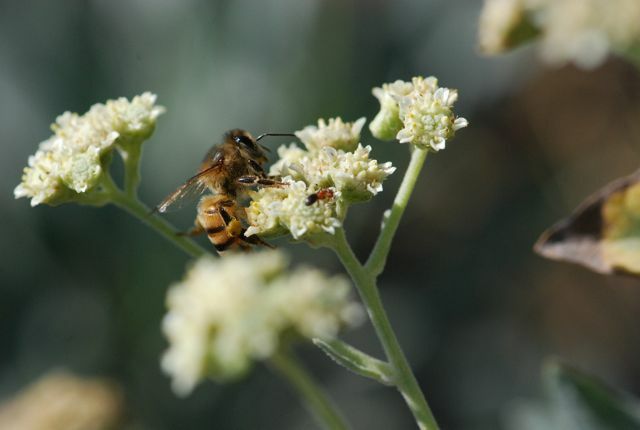 Guayule is a plant grown for its latex, which is used as a natural rubber. Obviously, insects find it useful too.